Here at Quick Lane Tire & Auto Center, we believe that our friends and neighbors should be as well-informed as possible about their vehicles and its functions. More specifically, we want to take some time to talk about the things you should know about your backup camera. The first, and perhaps most important, thing to note about backup cameras is that they are not perfect. They can experience poor image quality, interference issues, and they can sometimes just get a little dirty. Want to make sure your paint always looks good on your car? Touch-up pens and kits are available to help you fix your paint job yourself. However, it’s not always so simple. If you have ever applied a small amount of paint to your car, it can be nerve-racking trying to make the colors match up and look natural. In some cases, you may not want to use touch-up pens because they won’t cover up deeper scratches. Most drivers never consider that their car could potentially become a welcoming home to rodents. Plunging temperatures make a warm engine compartment attractive even to city-dwelling rodents, making this a hazard for those who never venture into the woods. 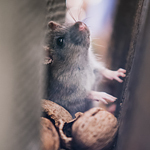 Once inside your vehicle, rodents can chew on exposed wiring or build nests in your car's interior. Find that your car's battery is dead can make any day go bad. 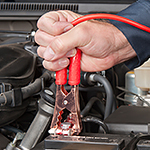 Fortunately, if you have a set of jumper cables and a nearby car with a good battery, you might be able to get your car running again. 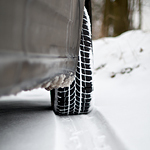 It has been revealed that winter tires are better for conditions such as snow and ice. For one thing, the winter tire has a lot of traction and other things that are designed to handle the slippery roads. 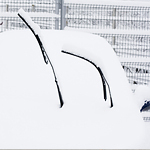 However, just because it is winter does not mean that you should buy winter tires. There are factors to consider.